We eat a lot of salads! It doesn’t get boring because I change the protein, greens, toppings, and dressing to shake it up. 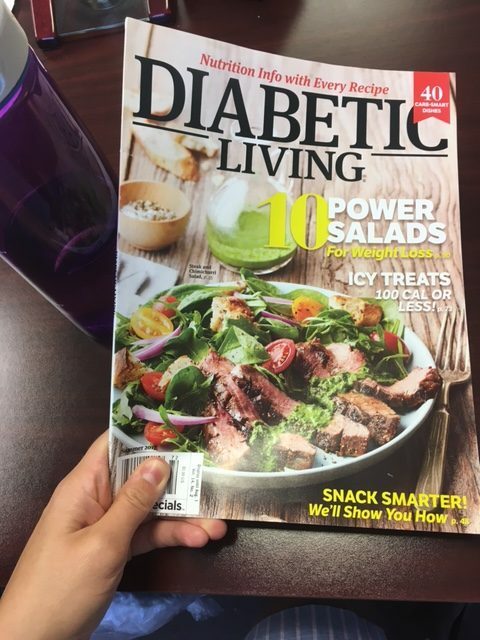 I was recently inspired by this salad on the cover of the Diabetic Living magazine. It was super simple and delicious! 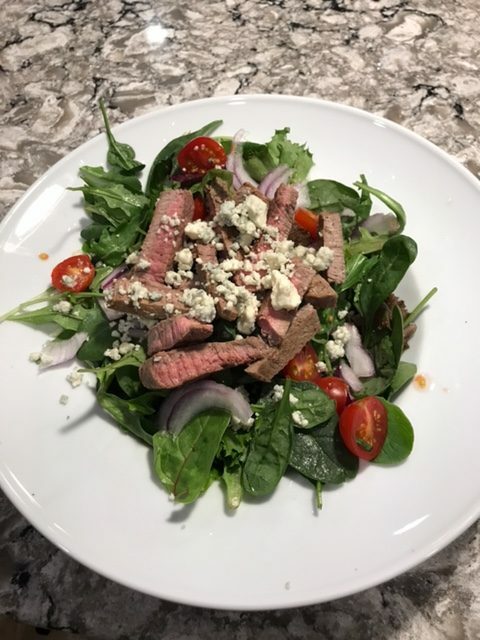 The Chimichurri sauce that the recipe suggested didn’t appeal to me and Rhodes isn’t a big fan of arugula, so I made some changes. I grilled a flank steak on the stove top in a grill pan with a touch of olive oil and lots of salt and pepper, then I sliced it into strips. We saved our carbs, and had a 1/2 cup of reduced-sugar ice cream for dessert instead!) Yum.